Small apartments are a challenge to decorate. The storage space is a pressing issue and the big lush furniture is a space eater. But there are some stylish design solutions for small apartments. 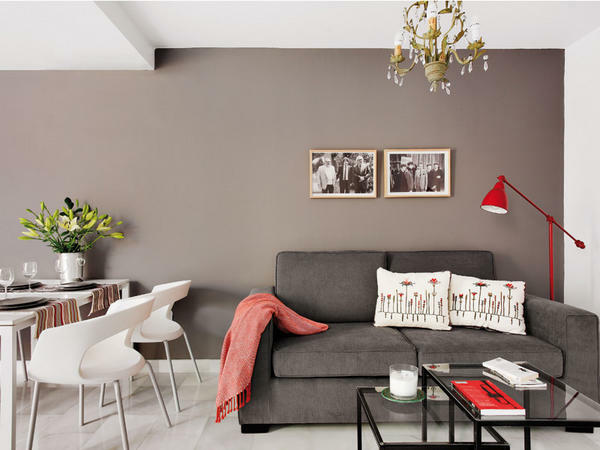 If you’ve just moved in or look for some renovating ideas there are things to consider before choosing furniture and other decorations for a small apartment. A small apartment doesn’t have to be all-white to appear bigger than it is. Cream and yellow hues can also be used to reflect light but make the rooms look more warm and cozy. It also doesn’t mean that minimalist style is the only decorating style for a small apartment. Try mixing elements of various styles that you like but keep space in the consideration. Furniture doesn’t have to have a classic or minimalist shape even if it suit the style of the apartment. Go for shapes that look both interesting but have softer lines. For example, rounded puffed but slimline furniture can look both stylish and save some space while making the room look uncluttered. 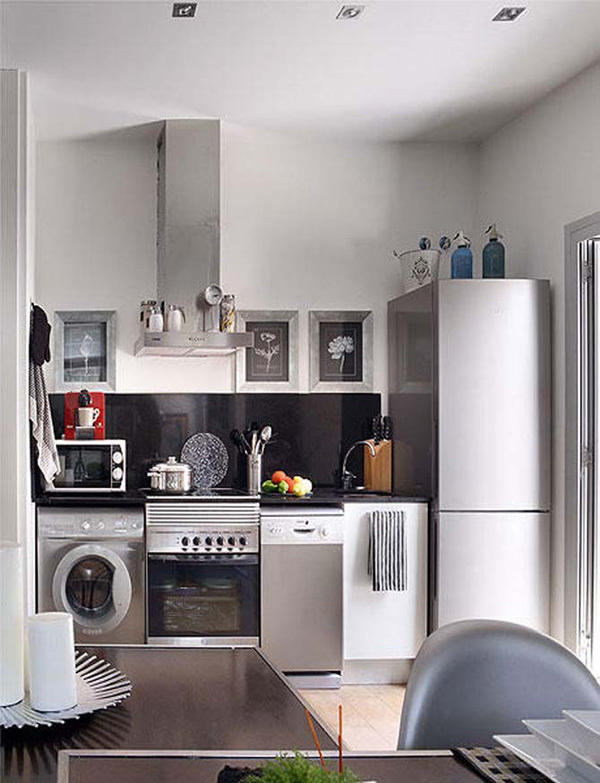 Look into integrated appliances like a dishwasher in a sink or downsized appliances to save space in the kitchen. There is a whole market of slim kitchen appliances like refrigerators, washing machines and dishwashers. These appliances often look aesthetically pleasing and stylish. Mirrors and reflective surfaces reflect light and surroundings making the apartment look bigger. It’s a great optical illusion to use if there is a lack of space. Besides transparent doors between the rooms will provide an open layout that often looks spacious. Great post. Love to see how clever people can be with small spaces. Great idea and smart designs!